It looks pretty nifty, says it’s made in Germany, but they don’t list the company/artisan. Anyone have any clue who makes it, or if it’s any good? Mod Edit: Sorry, no direct links to non sponsoring vendors. The attached picture is the brush in question. The only manufacturer I've seen produce boar brushes is Muhle, and they are in Germany so that could be their brush. Seems like the type of font they would use. Thinking on it, however, I do remember there are some other less known places. TSS has their own line from a firm that wishes to be unnamed, so it is usually just called the House brand. VP Leonhardy also makes some boar brushes. That's my personal recollection of all that make boars. I wouldn't know its quality as I haven't used it, but seeing it I wouldn't be opposed to buying it. The knot size to loft size is larger than I thought it was, but visually that looks appealing to me. I bought it - we’ll see. Been looking for a boar and I’ve never been crazy about the Omega and Semogue offerings. Maybe I’ll post something here when it comes in the mail and I start breaking it in to let others know someone’s perspective. Thanks for your input, I had no idea Muhle ever made boar brushes. I’ll check out the TSS boars, too. I had good luck with a silvertip from their “house brand” (it was a Rein Dachs). To the mod: thanks for the info and for adding the pic! BullGoose and Thater are collaborating on some new boar brushes. You may be interested in those. With the superb quality of Thater handles, I see these as the only premium regular production boars on the market. They will be a game changer for boar aficionados. Golddachs & Zahn also make brushes. (12-10-2017, 09:04 AM)suffolksupplies Wrote: Golddachs & Zahn also make brushes. Bingo! It’s totally a Muhle. Thanks my friend! I totally forgot about their hjm line - the first reply mentioned that too. (12-10-2017, 03:55 AM)TheLegalRazor Wrote: BullGoose and Thater are collaborating on some new boar brushes. You may be interested in those. With the superb quality of Thater handles, I see these as the only premium regular production boars on the market. They will be a game changer for boar aficionados. Zenith and Mondial say hello. It was not my intent to downgrade the quality of all other boar brushes on the market. When I say premium, I'm referring to the total brush - knot and handle. Omega, Semogue and Zenith have quality knots, and their brushes represent an excellent value. For example, the Omega 49 is one of the best values in brushes, the Semogue SOC is an excellent boar, and the aluminum Zenith handles get many positive reviews. However, in my opinion, Omega, Semogue and Zenith do not have handles comparable in quality to Thater handles. Omega doesn't produce handles that we would call premium. But Zenith & Mondial each produce high quality handles in aluminium and chrome. The brush that Mondial produces for Antica Barbieria Colla is, at $75-$90 USD the most expensive boar brush in the world. Do any of you know whether the ‘banded boars’ are processed differently (i.e., softer, easier to break in?) 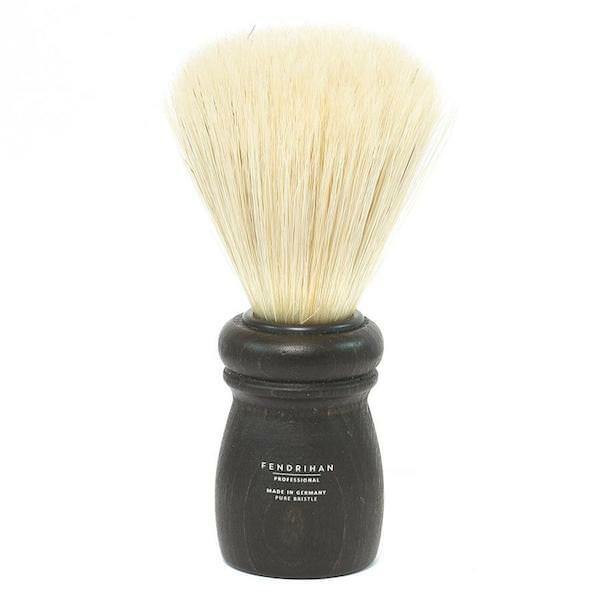 than regular un-dyed boar brushes like the Muhle variants posted previously? I like the look of those, but they kind of also seem like they’re trying too hard to be silvertips. For what reason, I wonder? Bleaching before dying definitely soften the bristles however I am not sure if this changes the bristles of just breaks them in a bit. So this puppy came in the mail the other day, and I’m not a huge boar aficionado or anything (did I spell that right?) but it’s a pretty darn good brush for $20. I have to say, the handle and knot are actually bigger than they look in the photo (the handle is larger than the Truefitt and Hill Rooney knock off that I have—the “Wellington”—and the knot is 24 mm, with a ridiculous loft that looks really similar to the Thater Boars that just came out. I honestly don’t know the quality of the knot compared to the Thaters, but from the pictures it looks pretty close... The other thing I noticed is that there really was NOT much of an animal smell, and I think this thing must have been pre-treated or something, because after four shaves, 2 or three bowl lathers just for fun, and messing around with it on a towel in between a few times, the tips are softer (like almost gel-tip soft) and starting to split already. The more shaves I get under my belt with it, the better it lathers (it really lathered horribly the first use—not sure if it was absorbing the lather or what). But in any case, I’m really happy with it. The handle really looks and feels like high quality wood, the type font of “Fendrihan” is pretty cool looking and hasn’t worn off so far, and it’s only shed probably 4 or 5 hairs so far, shedding less with each use. I figured I’d post a little bit about it in case anyone else is looking for a wood-handled boar brush that might feel more “premium” than some of the acrylic or wood handles from Semogue and Omega. I’m happy with it so far. But fair warning—like I said, I don’t know much about boars and I’ve only tried two others (one was an omega and the other was a cheap Van Der Hagen brush that came in a set from Target 3 years ago). As you guys pointed out above, it’s really an hjm (Muhle) boar brush, so I would imagine that those are exactly the same knot and handles (although the black wood hjm looked more “black” than this one in the pictures online—whereas this one is really a dark brown/black, almost like grenadille with a coarser grain to it and some lighter grain markings through it in various places—which I think makes it look and feel a little more ‘premium’). Hope this is useful info for some. Nice review Ripkin. Thanks for posting it. Your brush seems to offer a lot of quality for the price. (12-18-2017, 02:05 PM)TheLegalRazor Wrote: Nice review Ripkin. Thanks for posting it. Your brush seems to offer a lot of quality for the price. Thanks—glad to share my experiences with this stuff. Please post a picture of your actual brush. Would like to see the tips of the knot and the what the loft looks like in relation to the handle. I’m using a mobile device; the interface doesnt have that menu bar. I suppose you need ‘imgur’, whatever that is, to post pics?